Self mailer invitation to an exhibition of graphic design sponsored by Carpenter Paper Company. 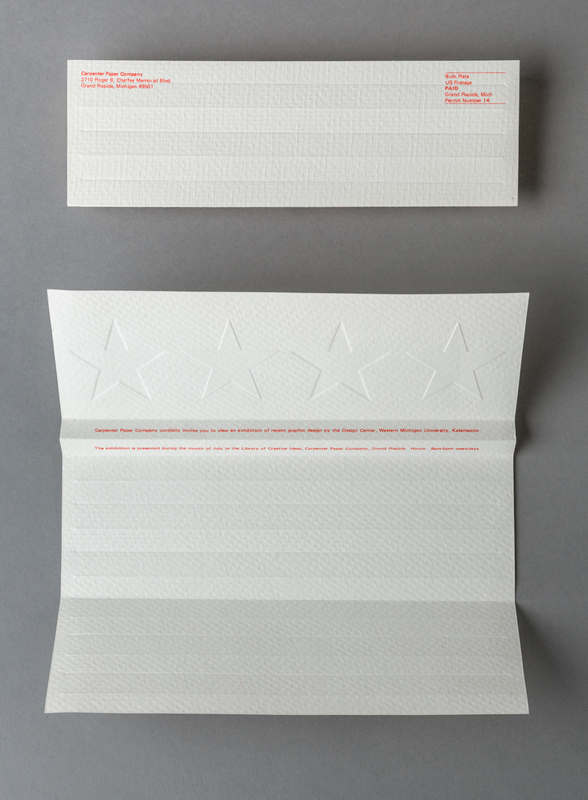 Alternating blind embossed and debossed stars at top with debossed lines below to form stripes. Size W 9.25" x H 10"